Frequent routine servicing of your Toyota will undoubtedly help to avoid mechanical issues and will keep the resale value strong.But did you know that to get great Toyota servicing in Bradford you don’t have to go to a main dealer? At Drive in Service Centre in Shipley we’re really experienced Toyota know-alls, so stop paying the high prices charged by main dealers when you can get the same level of service, repairs and high quality parts at a small percentage of the cost you would pay with Toyota. We’re just like a Toyota main dealer without the massive bills! You may be stunned to find that our prices can be up to 60% less than a Toyota main dealer and that’s a colossal saving. How so? Well it’s easy, we don’t have the same overheads that main dealers have, and of course, lower overheads mean lower prices. Best of all, you’ll save a load of money! 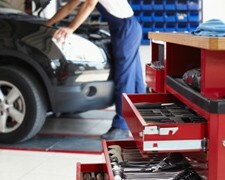 Were you aware that, thanks to Block Exemption, (a ruling which states that you can choose where to service your car without threatening the validity of the manufacturer’s warranty in any way), you can find someone else to service your Toyota other than the dealer who sold it to you. We’d like to tell you that there’s nowhere better in Bradford or Shipley to get your Toyota serviced or repaired and, once you've discovered our prices, we think you’ll agree. Call us on Bradford 01274 794991 to find out more about our great prices.